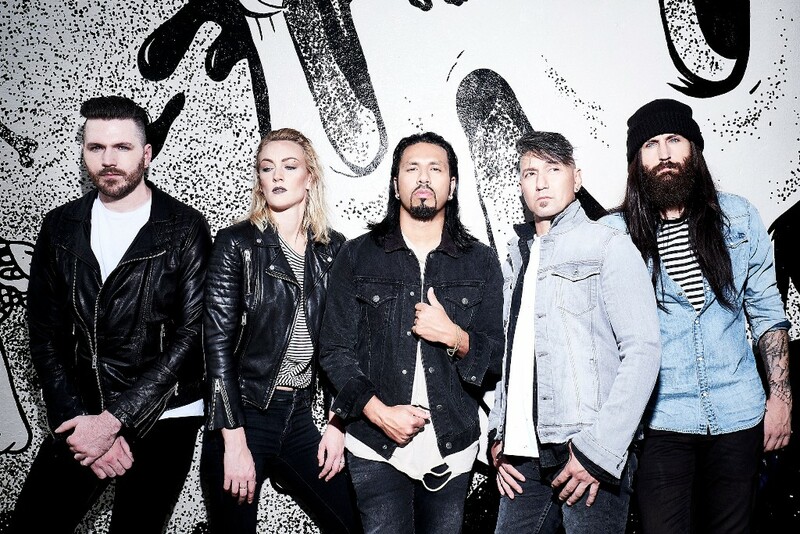 U.S. KILLER Modern rockers POP EVIL released their new self-titled Debut on Friday 16th February and we had a great chat with front-man LEIGH KAKATY about the process. Hayley Cramer – drums When North Muskegon, Michigan native Leigh Kakaty formed Pop Evil, he chose the band’s name for a reason. He loved hard rock songs with good melodies but he also dug loud, crunchy guitars and propulsive metal rhythms. For Kakaty, it’s a natural duality that came from growing up in the Great Lakes and it eventually became the raison d’etre of his band. Five albums into Pop Evil’s career, combining strong hooks with knockout punches is more important than ever. 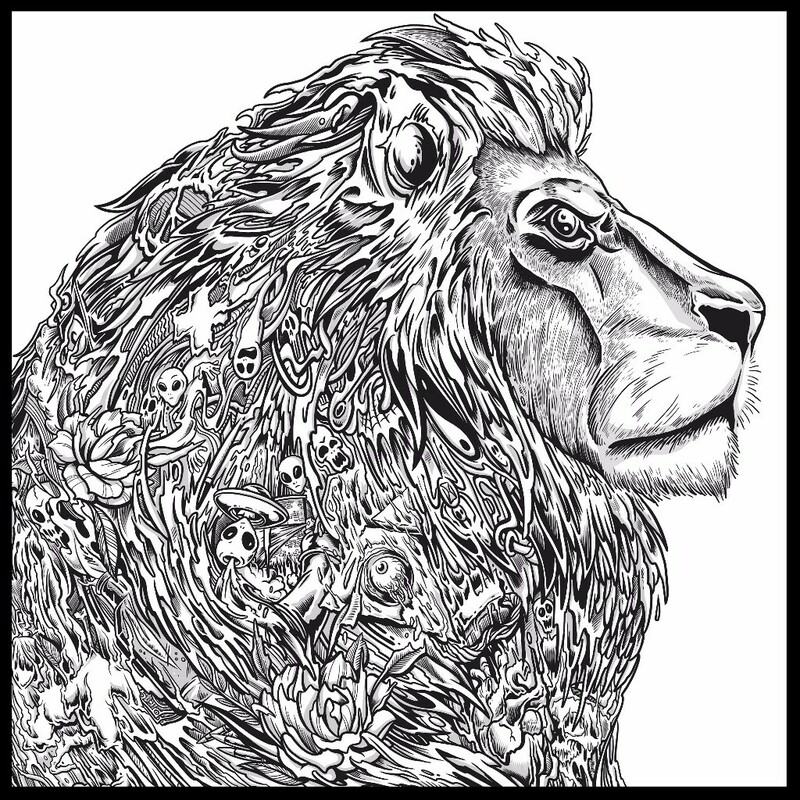 The band’s new record, simply called Pop Evil, is a surging, contemporary sounding release that incorporates metal, alternative, hard rock and even electronic music. In the wake of the band’s peppy, upbeat 2015 album Up, it’s a wake-up call, a musical rebirth that inspired the band to self-title the release, partially since they’d never done so. Their first album, Lipstick on the Mirror came out in 2008, and while it introduced listeners to the band’s core sound with well-received singles like “Hero” and “100 in a 55,” Pop Evil has grown exponentially since then. Pop Evil captures Kakaty and his bandmates – rhythm guitarist Dave Grahs, lead guitarist Nick Fuelling, bassist Matt DiRito and drummer Hayley Cramer – at their most inspiring. Every song on the album offers a different spin on the concept behind the band’s name and in an era when many rock bands create a few strong singles, and six or seven less memorable songs and call it an album, Pop Evil is all killer, no filler – the best 11 songs culled from 30 demos. Lyrically, songs like “Colors Bleed” cover new ground for Pop Evil. Instead of being about dysfunctional relationships, self-empowerment or mortality, Kakaty digs into today’s headlines and addresses what he feels about capitalism, hypocrisy and violent confrontation. The struggle was a regular obstacle for Pop Evil as they prepared to record their definitive album. Before they could finish the UP album cycle, they had to find a new drummer. Joshua Marunde (AKA Chachi Riot), who had been with the band since 2011 gradually lost interest in being a touring musician and decided to open his own CrossFit gym. He stayed with the band until the end of May 2016 in support of Up and then amicably parted ways with the band, forcing them to find a replacement while on the road. After some soul searching, their management team brought a few ideas forward, one being a female drummer and the band members decided that it could be a terrific idea to work with a female drummer in order to give the band a new perspective that wasn’t solely motivated by testosterone. They took recommendations from industry contacts and invited a bunch of women to email them audition videos. After carefully examining a bunch of playthrough videos one stood out to Pop Evil. It was one video sent in by English drummer Hayley Cramer (ex-McQueen) who they invited for a try out in their hometown and absolutely blew the band away. The band decided to bring her out on the road while Chachi was finishing his role and split time during the month of May 2016. She entered into the band with total confidence and a new artistic vision. With Cramer’s help, Pop Evil wrote a batch of new songs in their practice space before they started demoing. In addition to making sure the album was heavier than Up, they wanted the time to create the album they wanted to make. While they had been forced to rush through past albums in three or four months so they could return to the road (the band had averaged 200 live concerts a year over the last ten years), they dedicated a full year to completing Pop Evil. In Spring 2017, Pop Evil went to Sound Emporium studio in Nashville to work with Kato Khandwala. The band worked in Nashville between June and August, then went to Los Angeles to record vocals and Sphere Studios. Looking back at Pop Evil, Kakaty is thrilled that it came out exactly how the band wanted it to. The experimental parts give the album a cutting edge sound and the melodic passages – whether they comprise the crux of the chorus, verse or both – are undeniably memorable. At the same time, the band didn’t compromise when it came to delivering powerhouse metal riffs and emotionally expressive vocal lines.